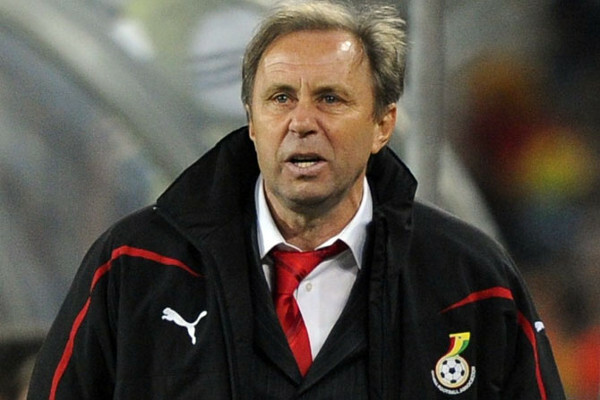 Algeria coach Milovan Rajevac made a winning start to his tenure with the North African team, but says that the upcoming match against Cameroon will be the real test. The Fennec Foxes crushed Lesotho 6-0 in their final 2017 Africa Cup of Nations qualifier this past weekend, ending their successful campaign with a flourish. However, they can expect a much tougher clash when they host Cameroon next month in the first of their Group B 2018 World Cup qualifiers. "I saw a lot of positive things in that game. The players returned to the game optimally. The most positive thing is that the players have given the best of themselves. They ran a lot and worked a lot on the field. I am proud of their performance," Rajevac said in the wake of the win over Lesotho. The former Ghana coach was not bothered by a minor altercation between Ryad Boudebouz and Riyad Mahrez over who would take a penalty. The former ended up scoring from the spot kick. "I have not paid attention to what happened during the penalty and the substitution of Boudebouz is hardly a sanction against him. “Boudebouz made a great first half, but I especially wanted to give playing time to [Yacine] Brahimi, who is an important player in the team and that will be required against Cameroon," explained Rajevac, who believed the clash against the Indomitable Lions will be a huge test.